Overview: Some of the most majestic places in the world lie near the water. There is nothing quite like looking out over a mirror-like reflection on a gorgeous evening with all the hues of a splendid sunset splashing across the water. 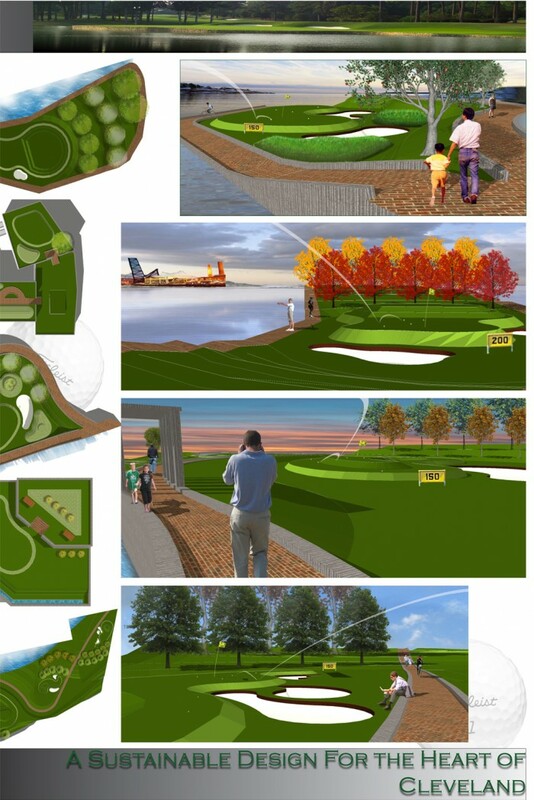 Being an avid golfer, I will create a golfers paradise not only in downtown, but on the bridge itself. 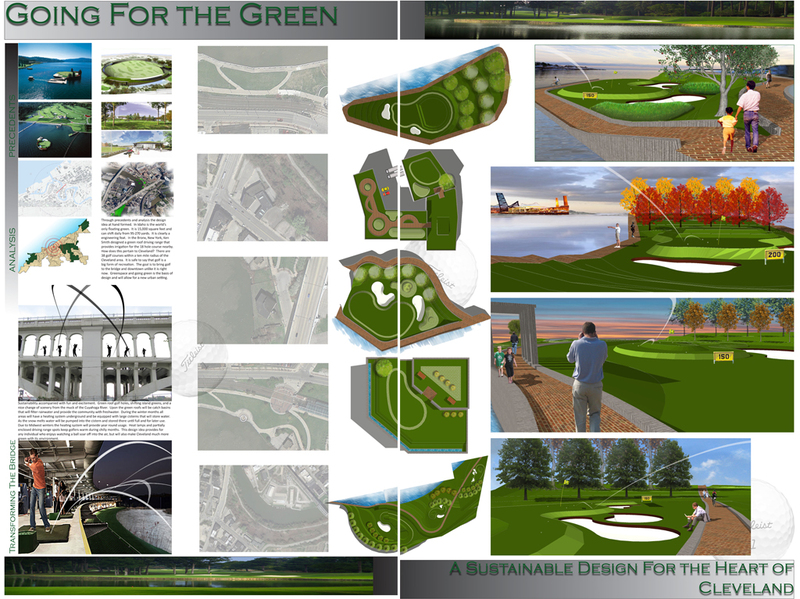 Golf to some may seem boring or just too hard to even try, but in this design instance it will prove as something more. One does not even have to have a passion for the game of golf to enjoy the thrill of crushing the ball and sending it soaring out into the horizon. Individuals can ease day to day tension, unleash frustrations, or simply experience a design and engineering feat. 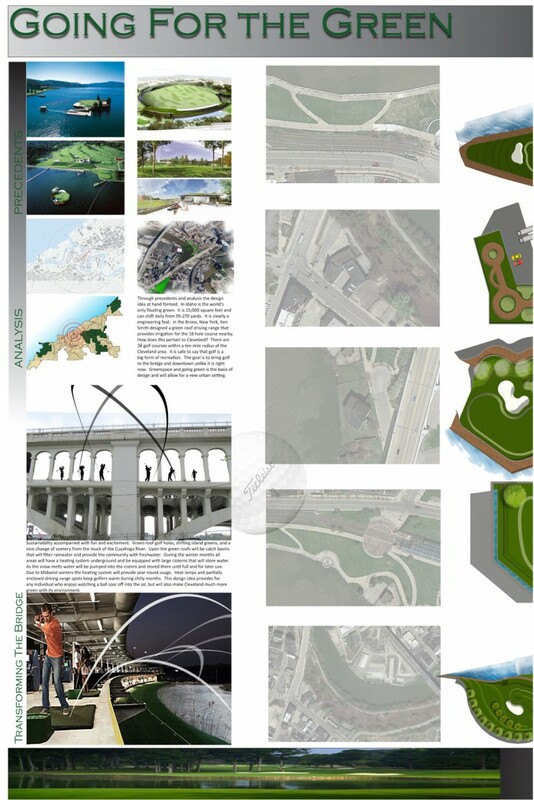 It’s from these two different dimensions that I have come up with my design plan. It’s something that I’ve actually done, bringing water and golf together. To enjoy practicing a sport that you love and to do it in a spectacular setting is a dream that can come true.